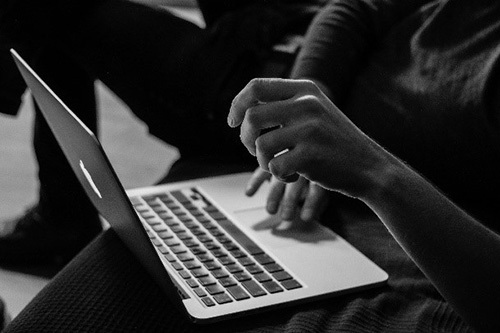 Recently, the Federal Trade Commission (FTC) announced its first case challenging an independent retail website in the use of fake paid reviews (See Figure 1). 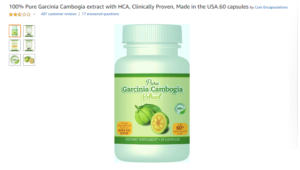 Cure Encapsulations, Inc., and its owner, Naftula Jacobowitz confirmed allegations that they had indeed made false and unsubstantiated claims for their so-called “fat burning”, “weight loss” herbal supplement, Garcinia Cambogia (See Figure 2). Jacobowitz paid $1000 USD to have AmazonVerifiedReviews.com, a third-party vendor, write and post 30 fake reviews in an effort to boost their Amazon rating to an average of 4.3 out of 5 stars. This third-party vendor’s website has since been removed from the internet. Many of these paid false reviews stated that the diet pills were a “powerful appetite suppressant” that “Literally BLOCKS FAT From Forming” and “causes significant weight loss”. Some reviews went as far as to say that one could shed as much as twenty pounds by losing two or more pounds per week. If consumers did their research on the native Indonesian fruit used in this supplement they would find that it is known to actually cause acute liver failure among other concerning side effects. So why does this matter? In this case, fake reviews would lead to physically hurting shoppers by misleading them to buy a product that could severely damage their health. Due to their risky practices, Cure Encapsulations now has a substantial civil litigation record and undesirable media attention. The impact of negative news goes far beyond a business’s personal reputation. In this case, the marketplace, Amazon, now must vamp up their due diligence practices to prevent other bad merchants from participating in these types of misleading and harmful practices if they want to continue to keep the trust of their visiting shoppers. Bad merchants exist everywhere, but one place you don’t want them to exist is in your portfolio. To learn more about how G2’s Negative News solutions work, please email info@g2llc.com.